Overwatch will have to address some big issues in Year 3. 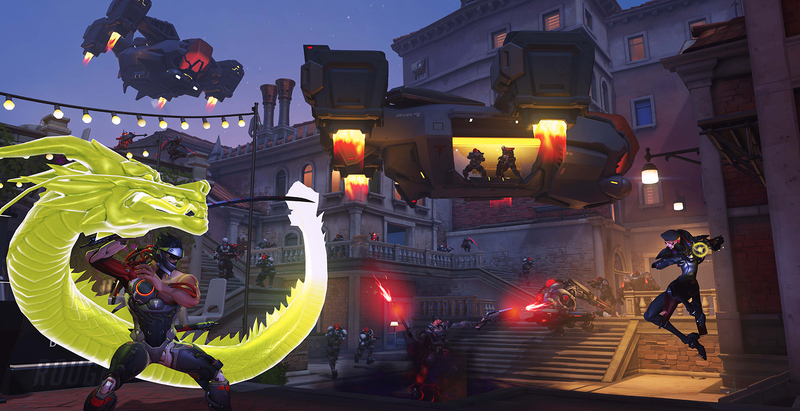 Overwatch is rolling right into its third year after a sprawling anniversary event. It’s a reminder of all the skins and emotes that have slipped through your fingers, but also a lookback on all that the game has accomplished since its launch. It’s introduced multiple characters, established a personality for itself in a sea of bland competitive FPS games, built a professional sports league, and raked in 40 million players (although Blizzard are unable to clarify to USgamer if the full breakdown of if those 40 million players are of the current active players or of overall owners). It’s also done two Summer Games, two Halloween events, two winter celebrations… you get the idea. Jumping into a special event isn’t as exciting as it used to be in Year 1. It still hasn’t revamped its Play of the Game feature or solved its toxicity problem, and it’s still nearly impossible to rise in the ranks of competitive. I’m a frequent Overwatch player and while I still enjoy it, there’s something that doesn’t feel as fresh anymore. Repeat events and little progress on some of the game’s biggest issues makes it all feel stagnant. Ana was the first new hero introduced to Overwatch, back in July 2016. There’s a lot to fix and improve upon, but what is Blizzard actually going to do in Year 3? Can it be different than Year 2? Here’s what we know, and it isn’t a lot unfortunately. The video game giant isn’t going to come out and provide details so we can’t confirm, for example, whether it’ll continue to repeat events or if it’ll add new ones, or whether it’ll focus on new characters, game balance, or expanding the story’s lore. We do know a few things though, like what Blizzard isn’t working on. For example, there are no plans for a consistent PvE mode. The existence of limited-time events like Junkenstein’s Revenge or Retribution have had players wondering if a more long-term, consistent PvE mode is in the works. It’s something Blizzard has worked on before in its other games, but it won’t be in Overwatch for now. Lead designer Jeff Kaplan explained at the Retribution announcement event back in March that establishing PvE would take a lot of effort on the developer front to ensure there would be an acceptable progression system. A PvE mode like in World of Warcraft would require elements that would keep players absorbed for months or years, instead of a few weeks. There just isn’t room in Overwatch for such a mode. Principal designer Scott Mercer expanded on this point in a recent conference call with reporters, noting that how many PvE events show up is dependant on what the team decides is best for depicting stories they want to tell. “I mean it excites us to expand like the world of Overwatch and like tell new stories,” he said. “For us it's just a matter of finding the right ways to do it. And maybe that means more PvE content [in the] future, we'll have to see." Does that mean more story will be added? Most likely. Many have questioned whether Blizzard would explore the story surrounding Overwatch within the game. It’s a fascinating tale about the downfall of a global organization and the attempts to resurrect it for the greater good, and it’s filled with fleshed-out characters. There’s been little room in-game though to expand on that, since it’s primarily a competitive title. Blizzard has been providing context for the characters and stories that shape Overwatch’s world, but thus far it's been outside the game itself. Comics, animated shorts, and developer anecdotes all have contributed to the universe, but little has been done in gameplay. The Retribution event followed in the footsteps of Uprising by creating a scenario where players can explore milestones and game changers in Overwatch’s history. However, it went even further to present a defining moment where Gabriel “Reaper” Reyes goes rogue during a Blackwatch mission, drawing the ire of Talon, Overwatch, and his colleagues. For now, there are ideas of where the story can go, along with an outline of chronology and important events. Some of the details haven’t been hashed out yet (and some are still sitting in senior designer of lore, Michael Chu’s head, according to Keller), but there are plans to continue telling that story in whatever form the team deems appropriate. Though first and foremost, It must fit with the gameplay. 2018 is a huge year for competitive Overwatch, with the official inaugural season of Overwatch League kicking off. Despite all the changes that are promised though, Overwatch is still in danger of not changing enough. For example, the Play of the Game (PotG) feature has long been a source of contention among the Overwatch community. It’s supposed to highlight an impressive play by a member of the match, but there’s little balance. Players who main supports or tanks, or who tend to not play super flashy, aren’t featured as often. Preference often goes to DPS characters who get a large number of kills in quick succession or, less frequently, a good ultimate ability shutdown. Many players find the whole thing unnecessary or inaccurate. Developers have spoken out over the years about the feature, which even Kaplan admits isn’t up to snuff. “I would say that we're at about a 70 percent of where we want Play of the Game to be. It catches a lot of cool stuff, but it's nowhere near as awesome as I think it will be,” Kaplan told Waypoint last year, promising also that the team would be making algorithm tweaks and adding more ways to get the highlight. However, during the aforementioned call, Blizzard said any plans of that are currently on the backburner. "It’s still on our list of something we do want to improve,” Mercer explained following a question from Kotaku. “There are features that, essentially, we’ve prioritized other things ahead of them. We don’t like to set up a plan and follow that plan to the letter." Ultimately, PotG is “something we still think would be really cool but we’ve been prioritizing other things ahead of it,” according to Mercer. Then there’s the ultimate question concerning change. Limited events like “Retribution” have added some huge lore moments to the game, but some of the less serious ones, such as holiday events, are in danger of making Overwatch stagnant. 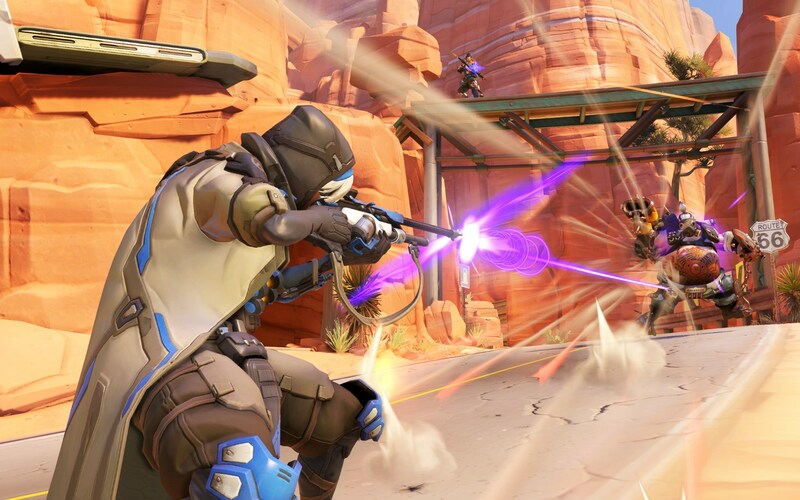 With the number of Overwatch players rising from 35 million players to the recently reported 40 million, reintroducing events that new users may have missed is essential. “This year was a big experiment for us. 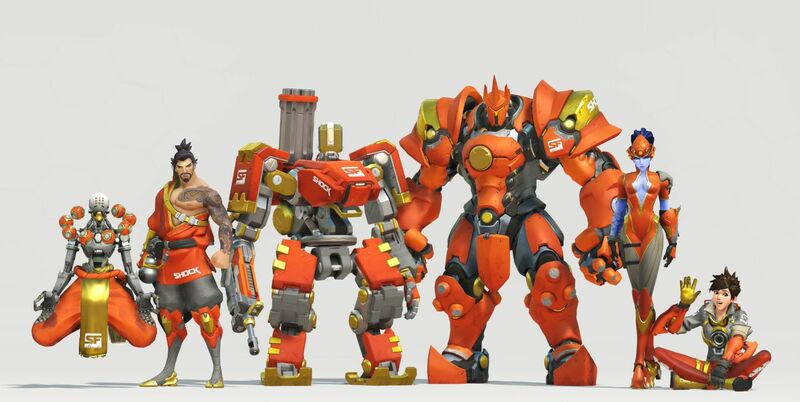 We had never been in a position to repeat events,” Kaplan said in March, adding that the team did struggle with whether they should introduce new events for more veteran players or continue with some repeats. The team rectified that in the anniversary event by making every past item available in loot boxes or to purchase with in-game currency. It’s unclear whether the team has taken feedback into consideration on this issue. While the community’s opinions are important to developers and some of it has been implemented in-game (such as with the creation and then modification of Hanzo’s casual skin), it’s also not always the top priority. The players and the developers’ wants tend to line up, but it comes down to what they see as the future of the game. What we do know is that there will continue to be events. While keeping numbers up is important, the team has found that short-term events do better for engagement and are worth continuing. 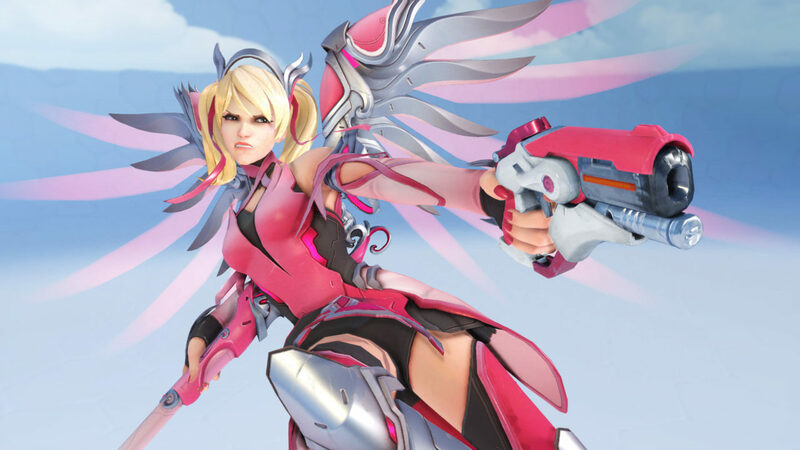 Lead software engineer Bill Warnecke specifically noted the recent charity skin for Mercy, which raised neary $10 million for the Breast Cancer Research Foundation. “When I think of engagement around Overwatch as a franchise or product, I look into those type of events bringing out such amazing things and having such a positive impact on the community that for me, that's success," Warnecke said during the call. "Whether an engagement number went up or down, we're doing things like that charity event now and that makes me really proud." There’s a part of me that’s worried about Overwatch’s future. The game continues to introduce new characters and fix balance issues, but what happens when that well runs dry? The key to the game’s longevity stands with the developers’ ability to keep the game fresh and going into Year 3, it’s unclear if that’s a priority. It could be in the future, but considering that the game already feels stagnant in regards to events, it should be soon. For more on Overwatch, check out our Overwatch Year 2 Anniversary Event guide, and our Overwatch beginner's guide if you're new to Blizzard's shooter. Tagged with Blizzard Entertainment,	Feature,	PC,	PlayStation 4,	Xbox One.